Ephesians 2:10 "For we are his workmanship, created in Christ Jesus unto good works, which God hath before ordained that we should walk in them". It was an ordinary day at the office, my boss's agenda couldn't be any better as I sat at a desk as an assistant to one of the best marketing directors in one of the best Mexican companies. I knew the time of the day when my director would ask me for the newspaper so I had to browse it beforehand to be informed of national and international matters. As I was browsing it, I read "massive typhoon hits Taiwan, many people affected". This shook my heart as I immediately thought of the year and a half (2014-2015) that I served there. These kind people were always showing their support and love, so I began to pray for this nation that God may send missionaries to this nation to share the knowledge of His love and His word. 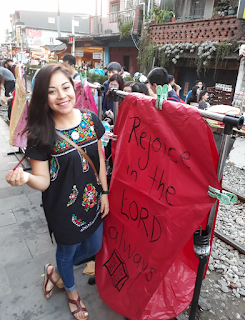 It was then, at the beginning of 2016, that I began to feel God's calling to go back to Taiwan, I knew there was a chapter unfinished and that my heart was still devoted to this island. Certainly, my initial weeks in Taiwan were truly a challenge and very difficult as it was very different to my previous experience in Taiwan. In the last 10 years I had been serving orphan children but I was not really challenged because I was in my comfort zone, with all the facilities and skills to do it. However my desire was to do my best for the Lord (time and effort). It was then that I decided to come to Taiwan to serve in a foreign country, out of my comfort zone, far from friends and family. This is where I came to know the reality of ministry which is sharing and sowing God's love for those in need. No matter if I was qualified or not, my heart was available to serve. During those years in the past, I always wondered what was the secret of a volunteer/missionary to become more effective in ministry. Lately, God has been showing me that ministry is about "sowing and reaping" and not about fix-and-solve. The purpose of missions is not just to fix or save, the purpose is to use the new lives we have received in Christ Jesus to help others diligently, guided by wisdom and love with Jesus as the Savior and not us. 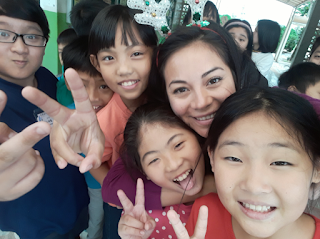 Working as a teacher in Taiwan has taught me that God's love has no nationality, language, religion or race. It is all based on God's gift of salvation available to anyone who believes. Romans 10:17 "So then faith cometh by hearing and hearing by the word of God". Furthermore, regardless of your occupation or profession, your goal should be about glorying God and encouraging and influencing other people. 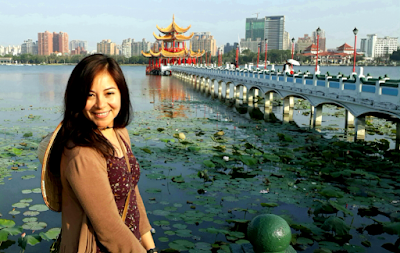 My vision for this year in Taiwan is to share about God's love to this nation and glorify Jesus Christ. Psalms 67:4 "O let the nations be glad and sing for joy: for thou shalt judge the people righteously, and govern the nations of upon earth. Selah." But it's so worth it if we learn to do it right. Lorena Lopez is 29, of Mexican nationality, and majored in international relations and political studies from Nuevo León State University in Mexico. She has been serving in various countries throughout the Americas and Asia. 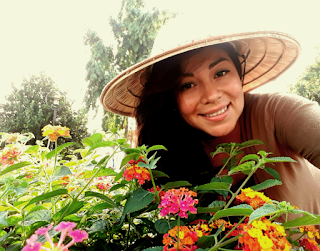 She enjoys literature, nature, learning about other cultures, adventures, and a good coffee. Her vision is to contribute towards a new perspective for this world.